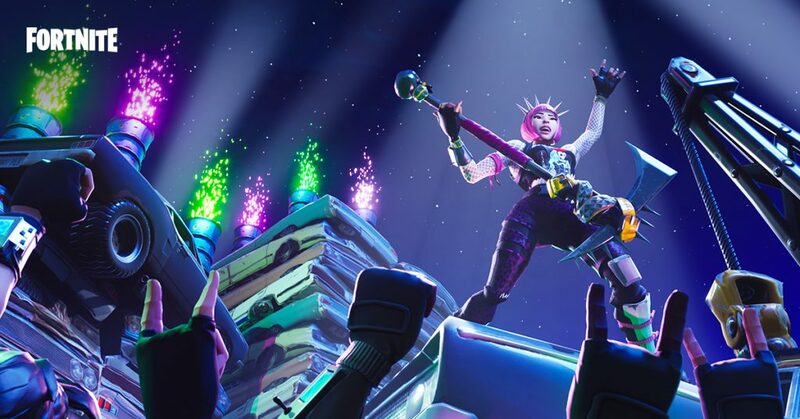 What major E3 event will include 50 of the most popular Fortnite players….and 50 celebrities to match? It’s the Fortnite Party Royale, an all-star esports tournament taking place in Los Angeles alongside the industry trade event. What does Epic Games have planned? You may be reminded of a more recent unrelated event. Last night Tyler “Ninja” Blevins, Twitch’s most popular Fortnite streamer, invited one of his biggest fans onto his stream…..rapper Drake. Then Drake invited Pittsburgh Steelers wide receiver JuJu Smith-Schuster, and Megaupload pirate Kim Dotcom thought he was cool enough to join the party, and….it grew into one of Twitch’s most-watched events, with over 300,000 simultaneous users viewing the stream. It proved that Twitch has grown beyond just a game streaming site and has turned into a valuable promotional tool. It also proved Fortnite is hot hot hot. Epic Games has likely been planning this announcement before Ninja’s stream, but the timing for Party Royale really couldn’t be better. Epic says they haven’t begun assembling the teams yet, but there will be less resistance from celebs after last night. More information regarding Fortnite Party Royale is expected to be revealed in the coming weeks.